While cramped aboard an aircraft, flanked on either side by each half of a bickering couple on their way home from a Disney World honeymoon, few things maintain the façade of luxury like the care and attention of great flight attendants. They’re always there—especially if your seat buddies knock over your can of Sprite with their fanny packs when they both get up for what can only be some mile-high make-up action in the lav, or to inform you (politely!) that, I’m sorry, we’re now charging extra for napkins, so that spill will cost you $10.95. Generally, no matter how much frustrating unpredictability you experience in the skies, you can count on attentive, well-dressed flight attendants as your saving grace. It’s that distinct politeness and agreeability of flight attendants that is a hallmark of this female-dominated field, as is the strict dress code. The exhibition grew out of Hill’s desire to better understand the cultural assumptions made about this particular arm of fashion. “[The uniforms] are packed with purpose, meaning, function, status, and more. And we thought it would be interesting to examine and share how they reflect, overlay, and occasionally buck the trends of fashion, social politics, and popular culture in general,” he said. 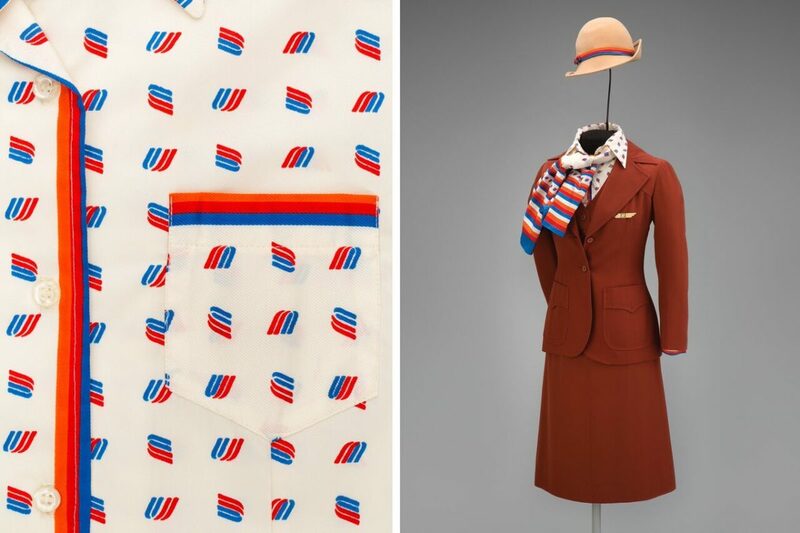 An understanding of the fashion history of the flight attendant—or “stewardess” if we’re going full old-school—reveals some interesting truths about our cultural perceptions of these friendly faces in the sky. Something that was immediately apparent? Within this industry, the history of fashion and the history of sexism are one and the same. 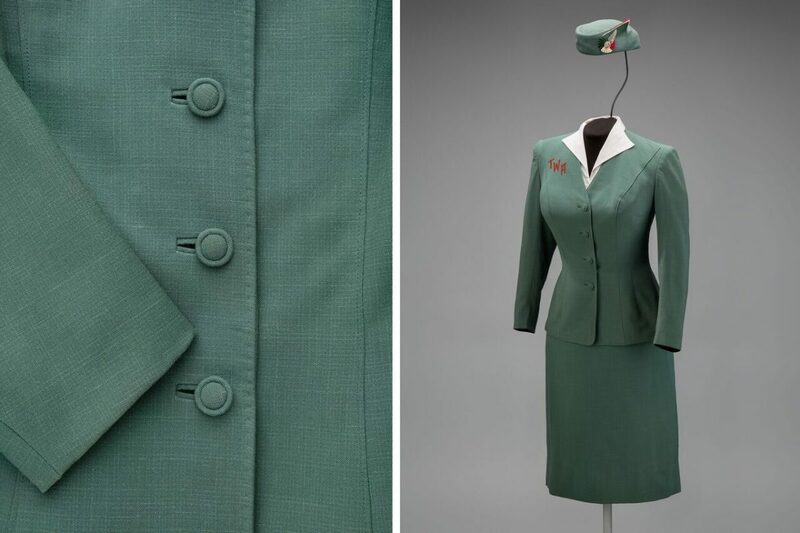 Women first began to work as “stewardesses” aboard planes after 1930, when Ellen Church, the first female flight attendant in U.S. history, pioneered the position. At this time, there were a number of sexist implications attached to the job title. Not only was the position restricted to women—it was considered “good psychology” to have women in the air, as their presence was sure to keep men at least outwardly calm in case of emergency—but it was restricted to single women of the proper body type, height, and age. 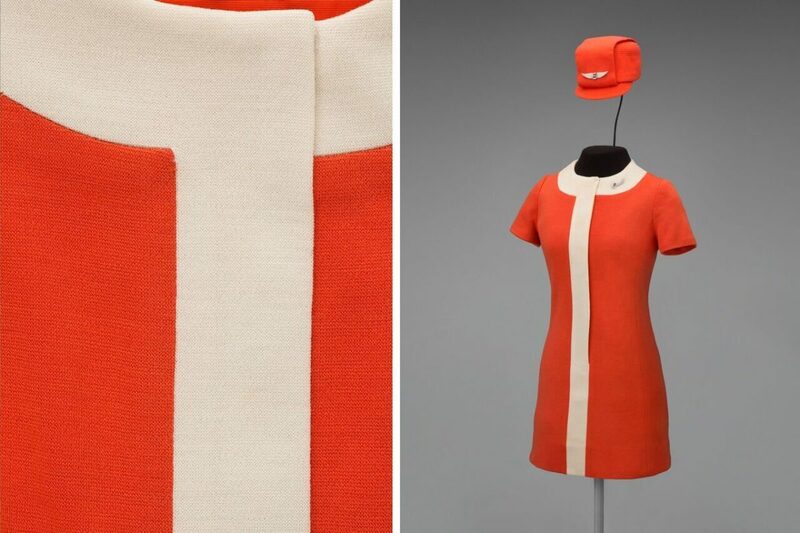 If a stewardess were to be married, pregnant, or over 30, she was no longer considered suitable for the position. 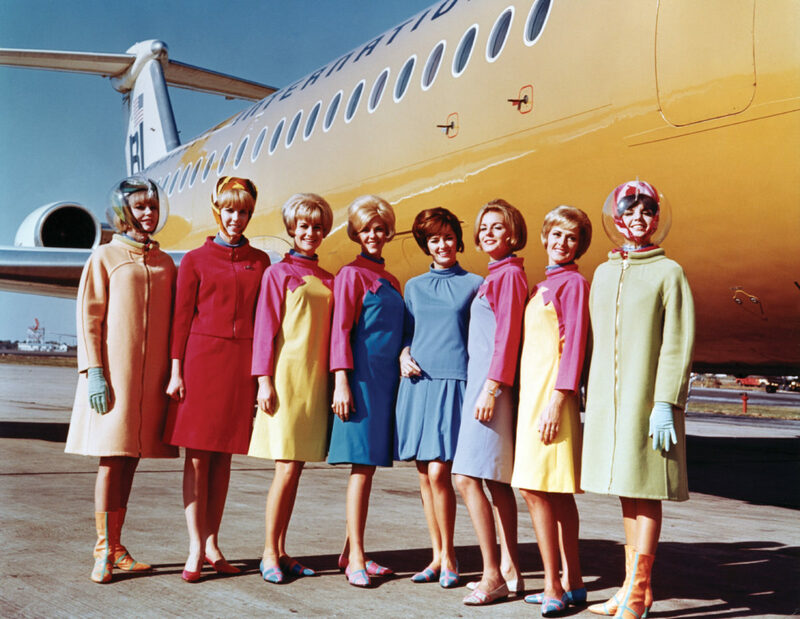 Braniff International Airways hostesses in uniforms by Emilio Pucci, 1965. 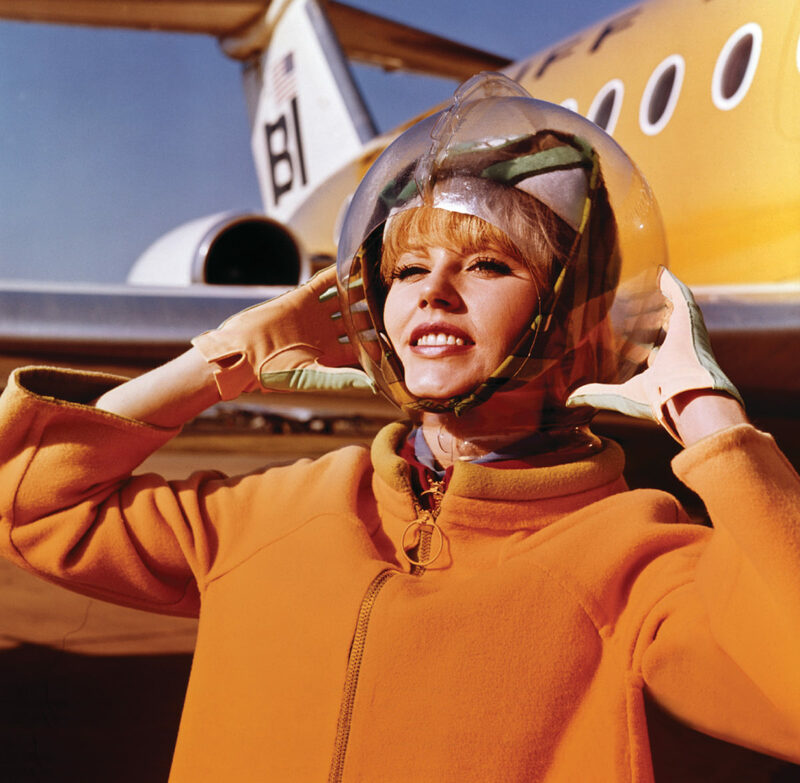 Photo credit: Braniff International Public Relations Archives, History of Aviation Collection, UT-Dallas. 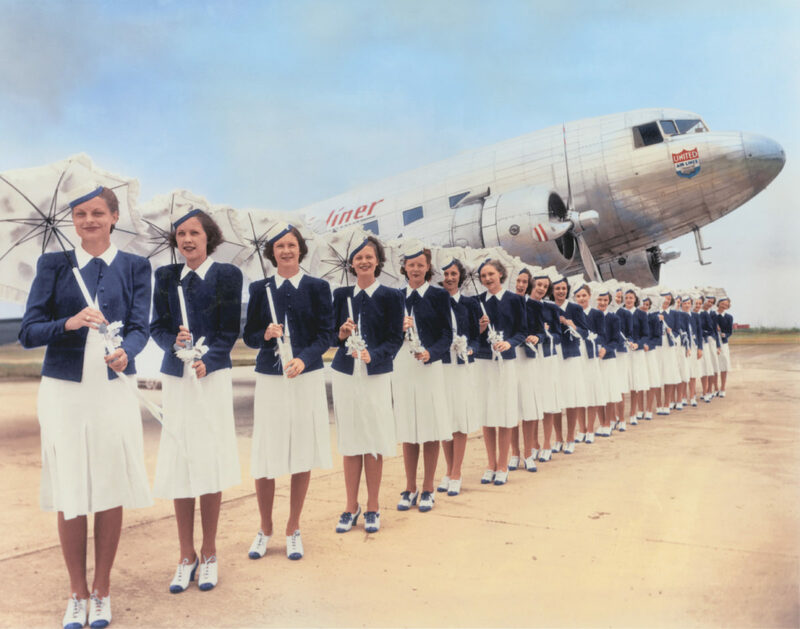 Transcontinental & Western Air hostesses, 1939. 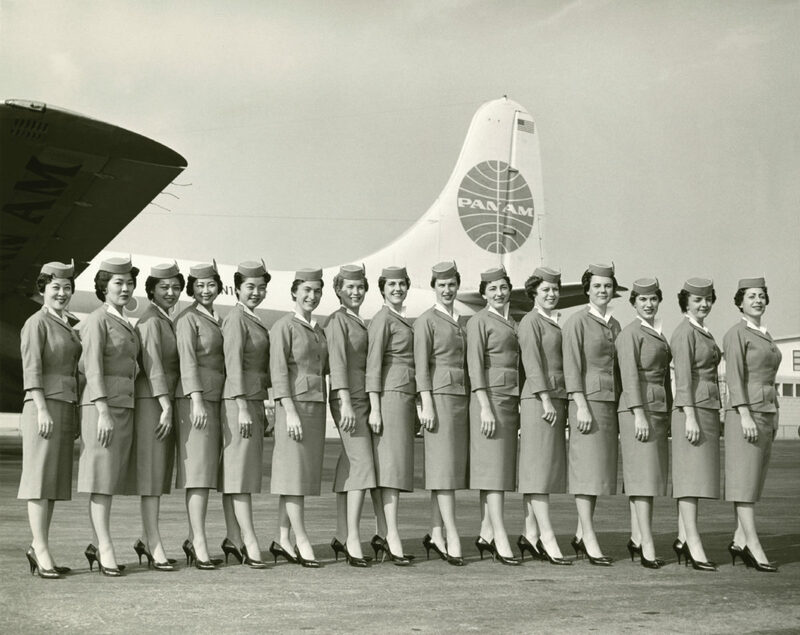 Photo credit: SFO Museum/ TWA Clipped Wings International, Inc. 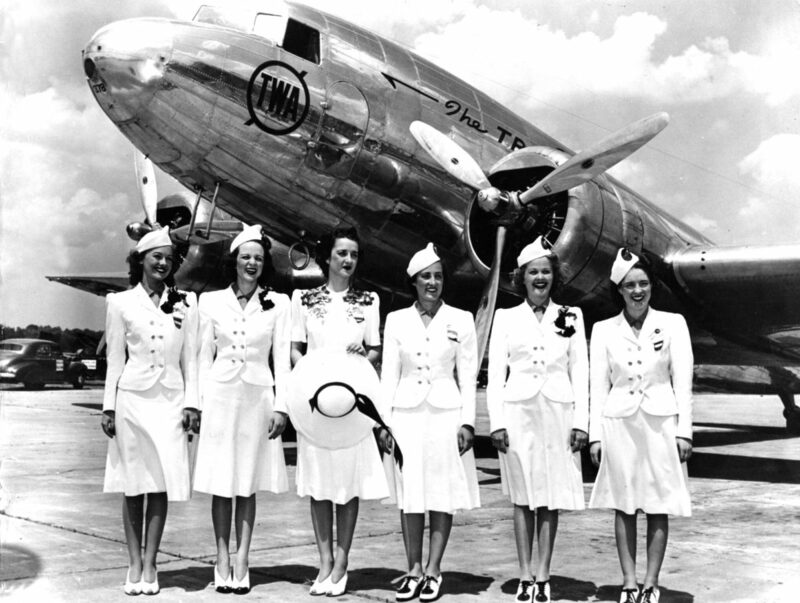 While women undoubtedly faced discrimination, some of the restrictions on body type were indeed reflections of the needs of aircraft at the time. “What would be seen as a form of body shaming today was based on the realities that the cabin interiors of these early airliners were very small with low ceilings and that weight, in an airplane, translated to fuel, and fuel translated to money,” said Hill. It’s the other restrictions on body type and appearance that raise the eyebrows of students of this history, like Hill—restrictions that have nothing to do with the safety or efficiency of an aircraft. 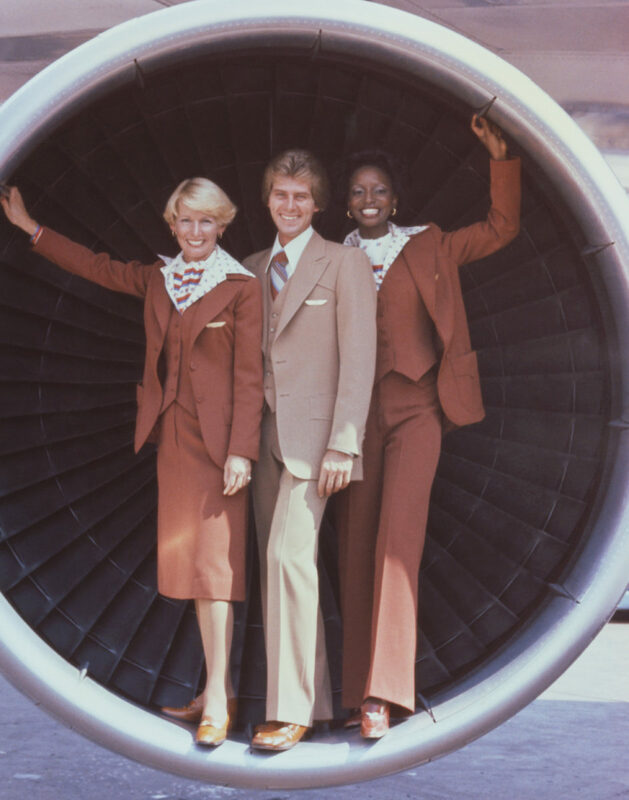 Alongside rational physical requirements, airlines added “words like ‘attractive’ to the list of requirements along with height and weight restrictions,” according to Hill. 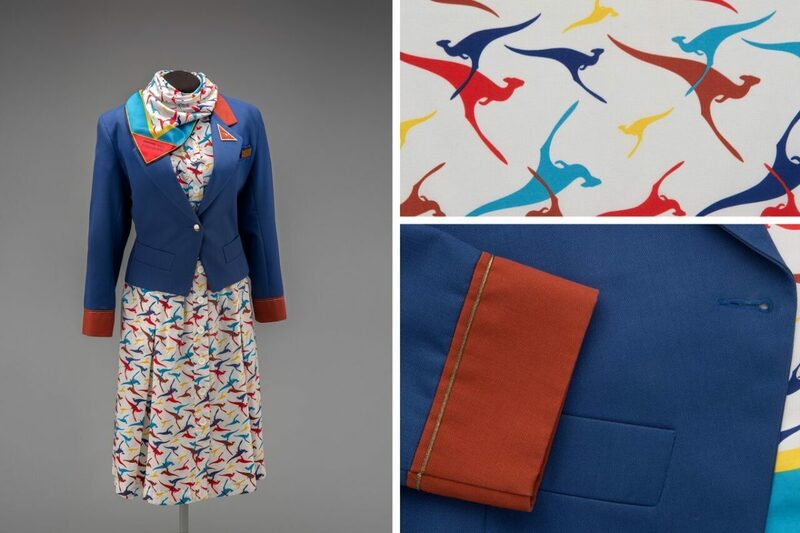 Outfits on board also generally had little impact on the functionality of the aircraft or the safety of the passengers (hard to imagine that short skits and high heels were very helpful in times of crisis). 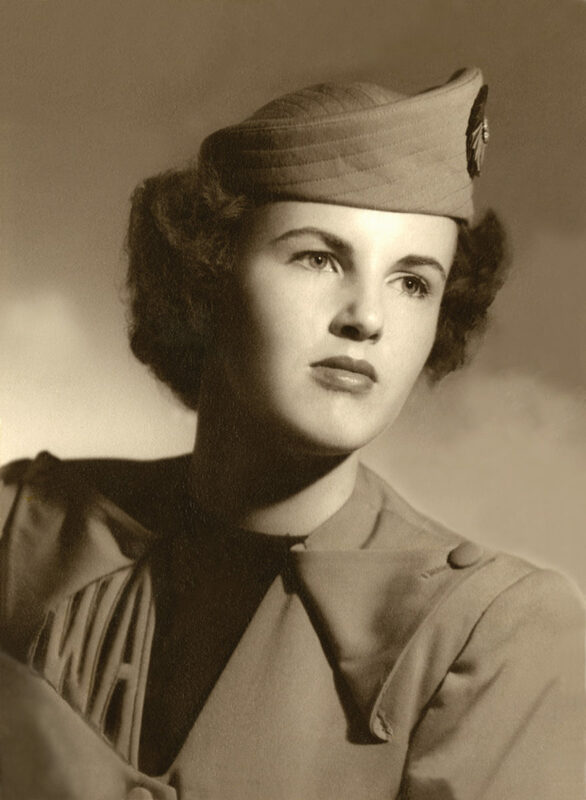 Women were required to wear heels at all times unless in the air, when they were permitted to change into flats, as well as girdles so they could appear smooth underneath their skirts, and “perky little hats” as Betty McCann, a stewardess in the fifties, refers to them in a 2011 piece she published on Mass Live about her experience flying in the mid-century. 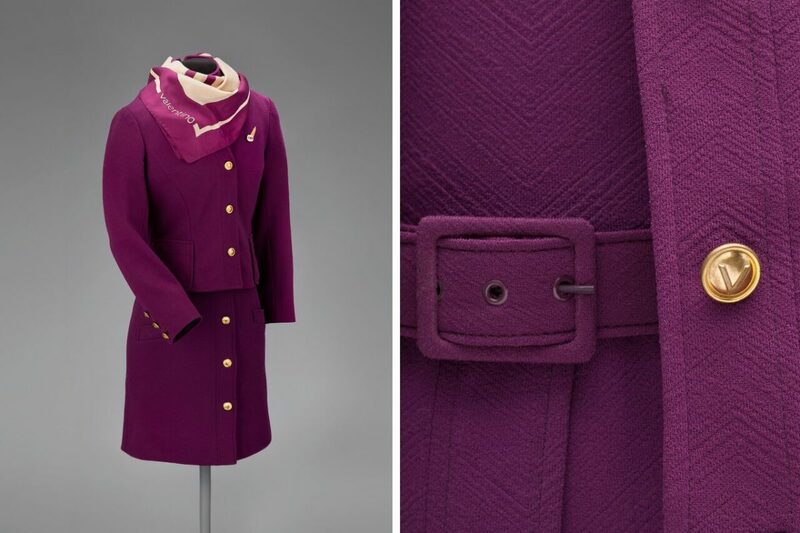 As curator of the SFO exhibition, Hill collected information about the timeline of changes that colored this industry from its beginnings in the 1930s. 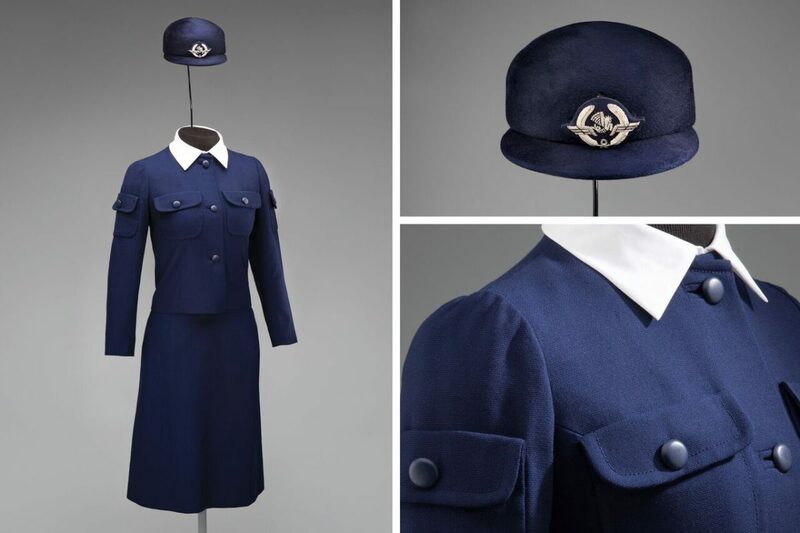 “A registered nurse credential was required at first and the uniform played on the traditional look of that occupation,” Hill said. 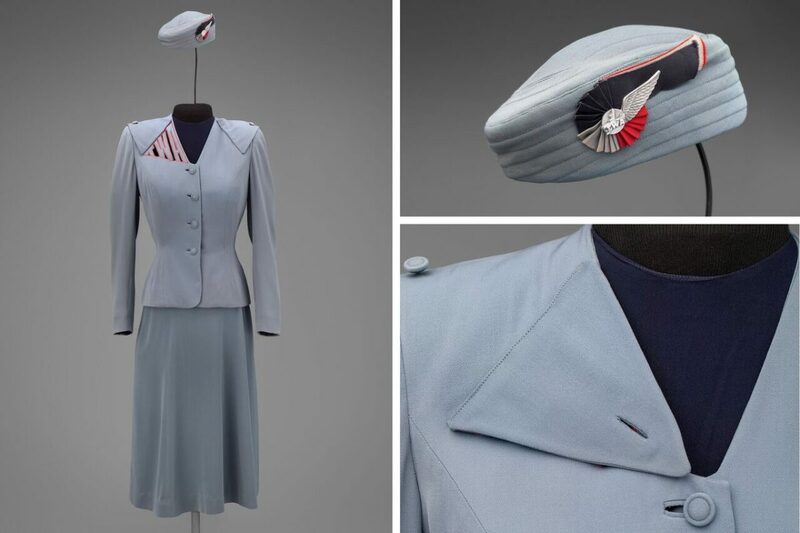 “Militarism was also used in female uniform design to convey authority and induce related behavior.” As the post-war era made flying available to a wider range of civilians, there was an influx in commercial travel, making it an attainable luxury for the American middle class. 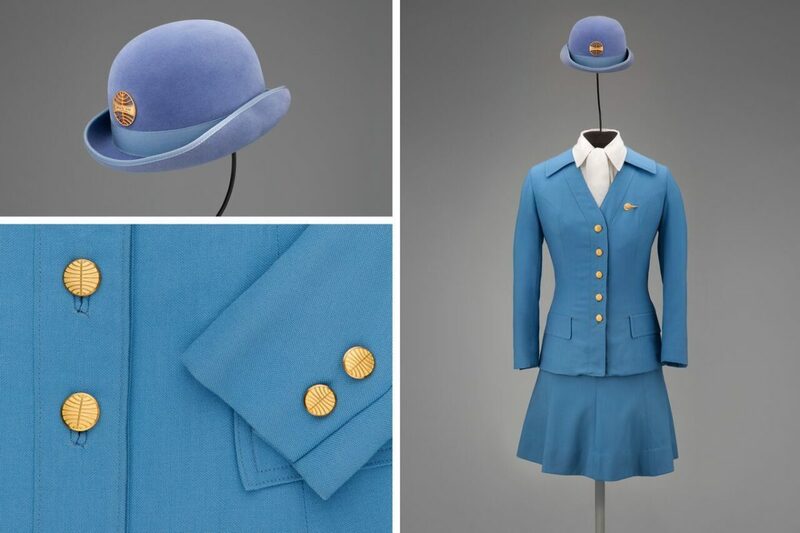 Recreational flying became an extraordinarily competitive industry, and it was in this era that we started to see the sexualized ideal of the “stewardess” used as a marketing tactic. 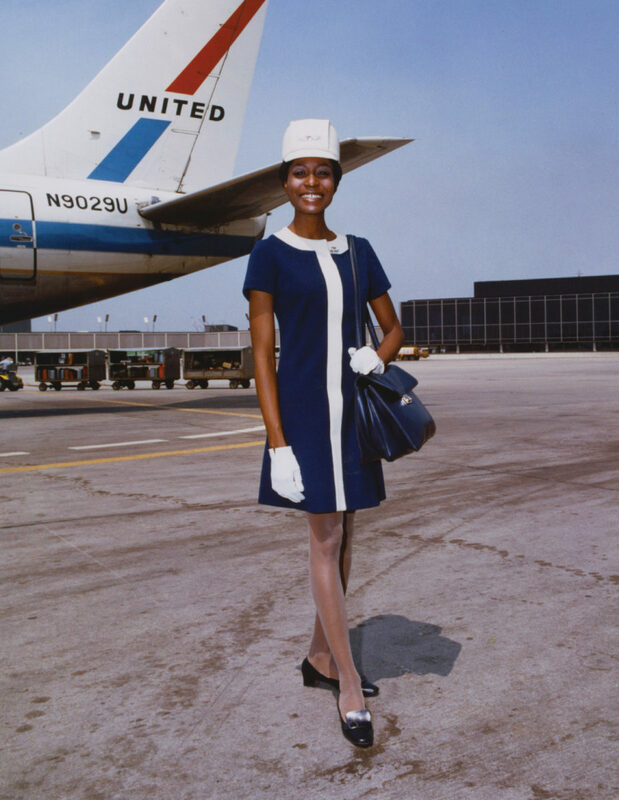 “The stewardess became a distinct new figure in popular culture. This generated a mythos that began to mask the more nitty-gritty realities of the job, which was quite physically demanding and included safety and security aspects. The employees began spending more time in grooming classes and less time in training, and the role became sexualized in increasingly overt ways. Much of this was pure male chauvinism, as promotions and marketing were still aimed at a predominantly male clientele. 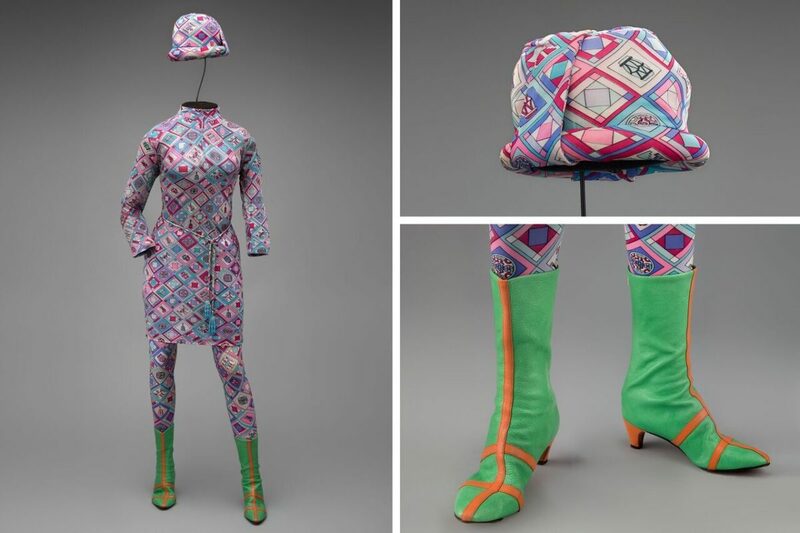 Some airlines, but not all, took this form of exploitation to absurd levels.” An example of such can be found in the striptease ad from Braniff International Airways called Air Strip, advertising the eccentric Emilio Pucci uniforms designed with layers that were meant to be removed throughout the flight. 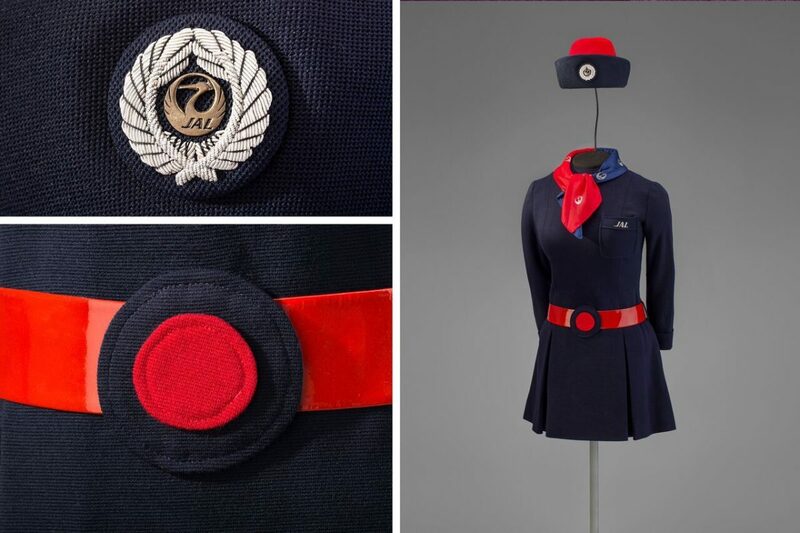 The increase in airline advertising, where the promise of scantily clad young ladies serving men up in the stratosphere was used to lure in passengers on commercial flights, had a direct impact on the sexualization of the stewardess figure. 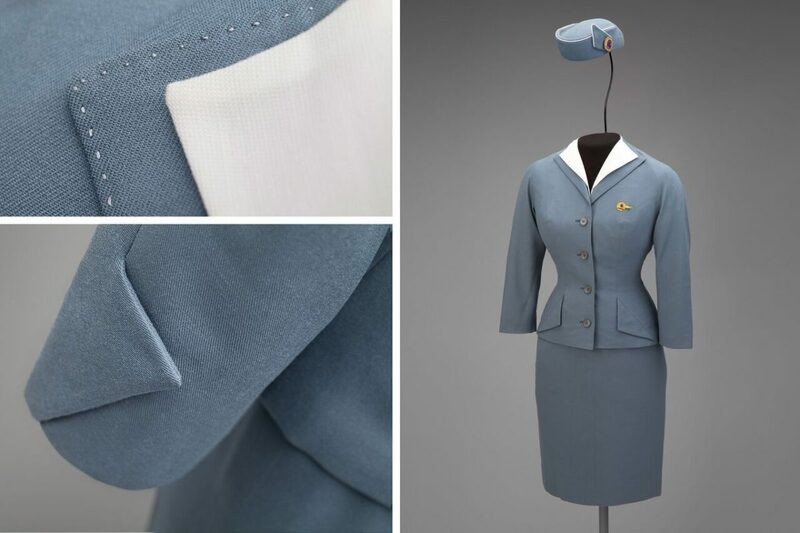 Over the last decade or two, many airlines have adopted more conservative workwear looks for their uniforms—typically in navy blue as a nod to professionalism and the business-class market segment. 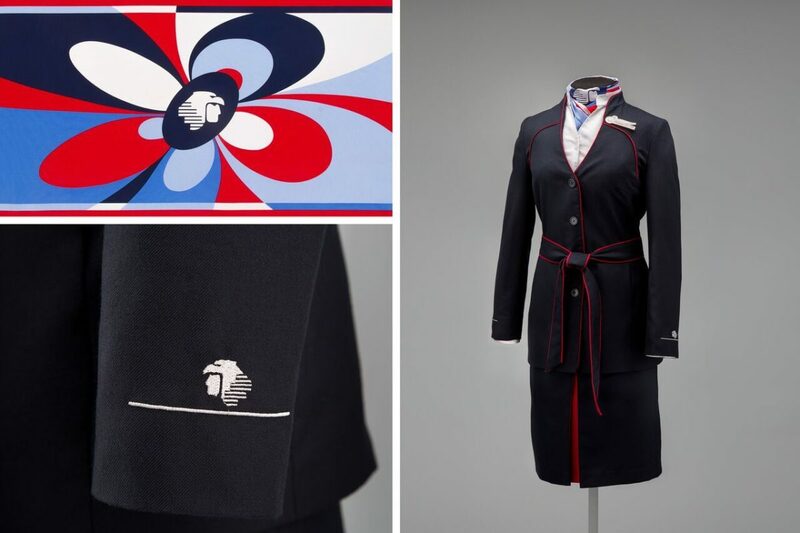 At the same time, there are airlines that choose to stand out among this backdrop of more conservative looks, tapping designers to create special collections for their uniforms, such as Vivienne Westwood for Virgin Atlantic, Gianfranco Ferré for Korean Air, and Christian Lacroix for Air France. 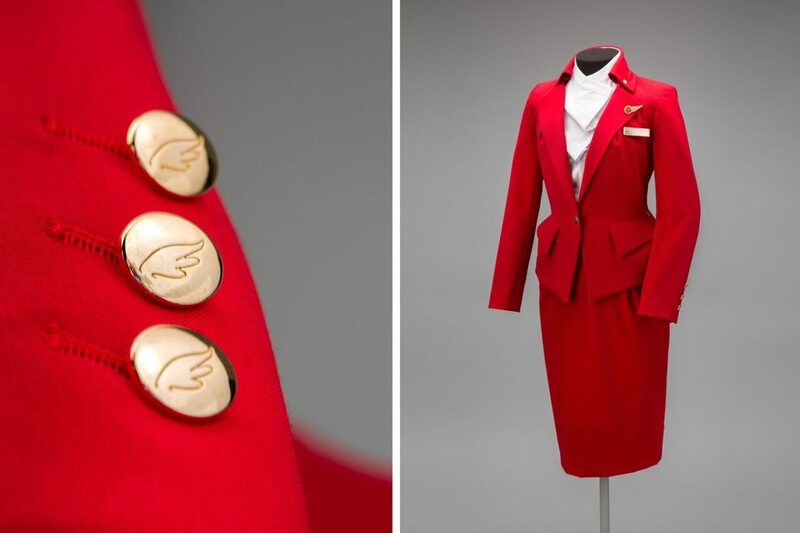 One thing is certain: while flight attendants are constantly on the move, the importance of what they wear doesn’t seem to be going anywhere.